Dallas Museum of Art acquires Yayoi Kusama’s All the Eternal Love I Have for the Pumpkins installation. RIP: Lala Rukh, who passed away at the age of 69. RIP: Daniel LaRue Johnson (1938-2017). Salvador Dalí’s body to be exhumed next week to help resolve paternity battle. Vika Gazinskaya steals Brad Troemel’s artwork for its clothing designs. NY-based graffiti artists suing Vince Camuto for alleged misappropriation and infringement of their mural work. Four, including security guard, are arrested in theft of giant gold coin from Bode Museum. Museum Kunstpalast pulls Andreas Achenbach painting from show after Nazi loot claim by heirs of Max Stern. U.S. appeals court rules that Thyssen-Bornemisza Museum must face heirs’ claim for looted Pissarro painting. Artnet on Why the Feds Were Smart Not to Throw the Book at Hobby Lobby for Buying Iraqi Loot. U.S. Sen. Tom Udall says that fake Native American art is flooding the market. Liberty London department store removes works by Jared Madere and Architecture Social Club. Zanele Muholi’s footage of friend being pushed down stairs by possibly racist Airbnb host causes uproar. Man who pushed her charged with attempted manslaughter. Glafira Rosales ordered by federal judge to pay $81mil to victims of Knoedler forgery case. Selfie-taker toppling work at 14th Factory exhibition may have been a publicity stunt. Thieves that stole jewelry from Masterpiece art fair had the key to cabinets. Police destroy Thierry Boutonnier’s Lyon Architecture Biennial installation after mistaking it for cannabis farm. Financial Times asks if blockchain can help to block art market fraud. Tim Schneider on the importance of written contracts in the art world. How galleries are adapting in order to survive. And part two of the series. Sir Nicholas Serota and Tristram Hunt urge protection of free movement for artists and performers after Brexit. The future of the art scene in Dubai. The Standard has a gallery guide to Los Angeles. Artnet look sat Art Battle. How documenta 14 has impacted the Athens art scene. Study looks at where artists are living in New York. Six caves in Swabia Jura, home to some of world’s oldest art, added to World Heritage List by UNESCO. Dozens of previously unknown Thomas Gainsborough drawings discovered in book at Windsor Castle library. Dia Art Foundation purchases eight works by key Mono-ha artists Lee Ufan and Kishio Suga. Danh Võ retrospective coming to Guggenheim Museum. New-York Historical Society launches free civics course for Green Card holders. Agnès b. to open art foundation in Paris. Klimt & Rodin: An Artistic Encounter at Legion of Honor in San Francisco will be Klimt’s first show in California. Ben Davis writes about Hélio Oiticica on occasion of To Organize Delirium show at the Whitney Museum. Parviz Tanavoli’s Lions of Iran at the Tehran Museum of Contemporary Art green-lighted after election victory. The Art Newspaper previews Soul of a Nation: Art in the Age of Black Power at Tate Modern. Artnet covers Hidetomo Kimura’s annual Art Aquarium exhibition at Nihonbashi Mitsui Hall. Gurlitt trove of Nazi-tainted art makes its first appearance at Kunstmuseum Bern. Shortlist to design Barbican concert hall includes Gehry, Levete, Piano, and Foster. Contemporary Art Museum St. Louis receives $25k grant and will launch diversity fellowship program. Rem Koolhaus-designed The Factory, home for Manchester International Festival, begins construction. Guadalupe Rosales is LACMA’s first Instagram artist in residence. Ava DuVernay and Hilton Als to be honored at Hammer Museum gala. The Art Newspaper interviews Thomas Campbell about why he left the Met. Andrew Goldstein interviews Shanghai Project Co-Founder Yongwoo Lee. Richard Gabriele transforms Duchamp’s urinal into a mini golf course outside Philadelphia Museum of Art. Over 1,000 Frida Kahlo lookalikes gather at Dallas Museum of Art for a New Guinness World Record. Sam Gilliam discusses the Venice Biennale. Rare painting of Brontë sisters could sell for $50k at JP Humbert Auctioneers. Jean-Paul Engelen named deputy chairman, Americas at Phillips. FIAC reveals 2017 program, as well as the exhibitor list. Unseen Amsterdam art fair announces participants and program for 2017. The highlights of Frieze Sculpture Park 2017 in London. The Bridge art fair coming to the Hamptons. Three of primary NY Armory Week fairs held first week of March, while ADAA Art Show opens week earlier. Artinfo writes about Condo New York. Africa’s art scene may be about to take Asia’s place in the spotlight. The latest edition of Joel Mesler’s True Confessions of a Justified Art Dealer. Larry’s List interviews Elliot Perry about collecting. Walter Robinson and Lisa Rosen’s art collection. Collecteurs releases and sells a capsule edition of Max Frintrop originals. David Zwirner’s Hong Kong space to launch with new works by Michaël Borremans. The Art Newspaper profiles Oksana Zhnikrup, whose work Jeff Koons appropriated for his sculptures. Theaster Gates plans DJ booth and fire hose artwork for 95th St. Red Line in Chicago. Diane Arbus’s sexual adventures and how it related to her photography and art. Tom Sachs on the art of space. Aki Sasamoto featured by art21. Paper Magazine writes about Adrian and Kai Schachter. Liam Gillick collaborates with New Order to design set for Manchester International Festival performances. Morgan O’Hara on getting people to write the US Constitution by hand. Douglas Coupland puts a giant van Gogh head in a vineyard. Rasheed Araeen discusses the influence of Anthony Caro. Charles Saatchi’s writes about Frida Kahlo’s The Two Fridas. Artnet’s list of The Best Art Shows to See in the Greek Islands This Summer. Study says that AI-generated art now looks more convincingly human than work at Art Basel. Categories: Art, Contemporary Art, Low Brow & Pop Surrealism, Overtime, Street & Urban Art. 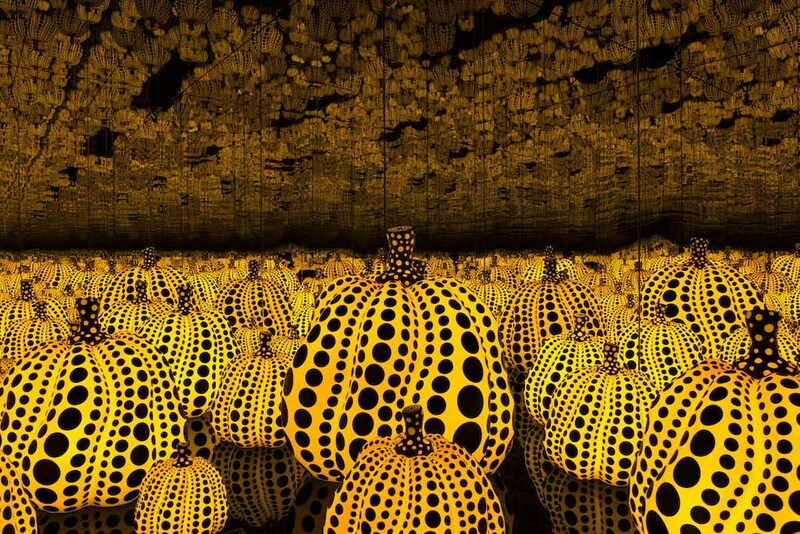 Tags: Contemporary Art, Dallas Museum of Art, Features, Low Brow & Pop Surrealism, Overtime, Street & Urban Art, Yayoi Kusama.